Photo 035. 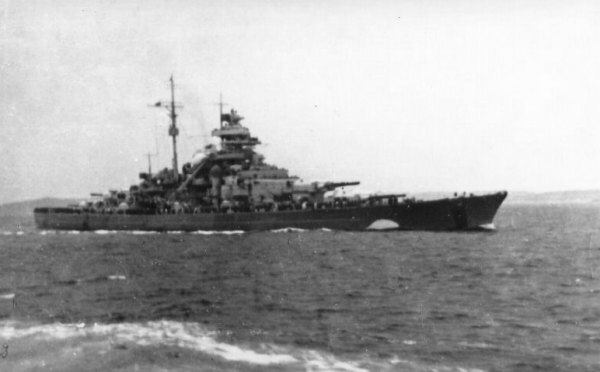 Bismarck Leaving Norway. The Bismarck off the Norwegian coast as seen from the Prinz Eugen on the evening of 21 May 1941. The black and white stripes on the hull were painted over while in the Grimstadfjord earlier that day. The false white waves in the bow remained.